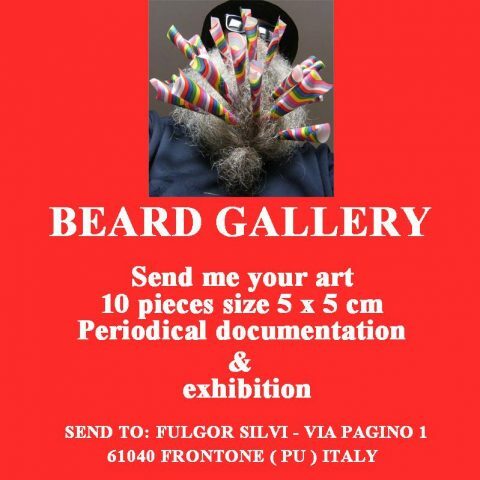 Italian artist, Fulgo Silvi, features small artworks submitted from around the world, on his beard. That’s right. His beard is an art gallery! 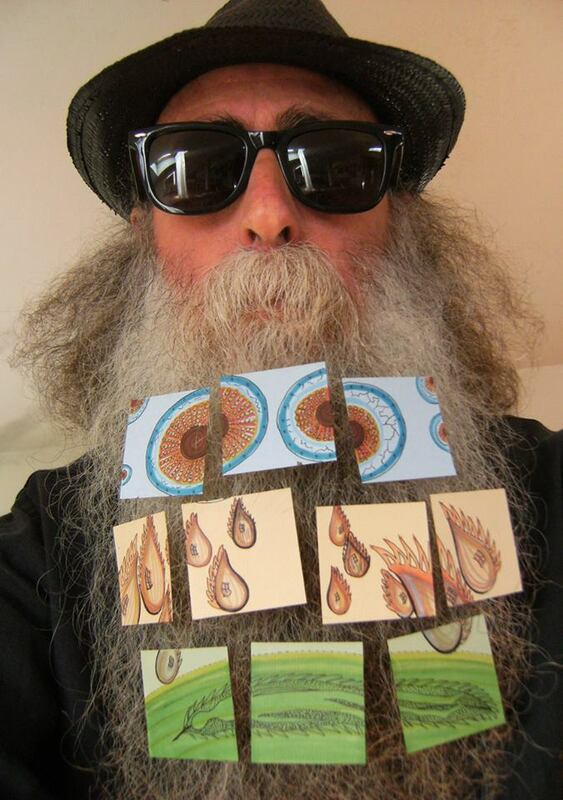 You too can be featured on Fulgor Silvi’s beard! The most exclusive small gallery anywhere!